Unpaginated. 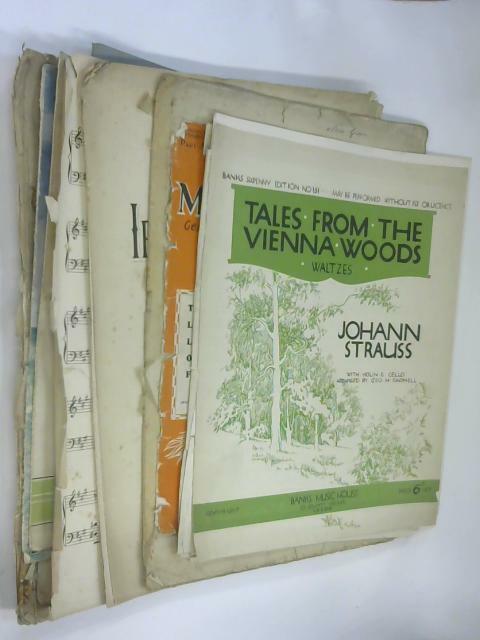 10 sheets of mixed sheet music in conditions from good to acceptable. Pages are slightly yellowed with moderate edge wear and tear to most of the sheets. Light foxing throughout and cracking to the hinges. Few of the sheets have limp binding and covers.